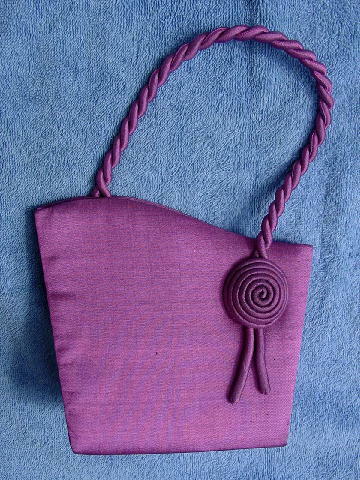 This never-used vintage silk purse has a lightly padded front and back surface. The interior has a magnetic snap closure and a small zippered pocket. It has an angled top and a 13" long cord handle. It's in a light magenta with a touch of wine color. A model got it as a present from a now-ex boyfriend.